Be The First to Review the Bayou Bash Relay! The Bayou Bash Relay is a Running race in Houston, Texas consisting of a Kids Run/Fun Run, 7.6 Mile Relay. Great opportunity to go running with friends, this relay has 4 person teams with each person running 2 miles. 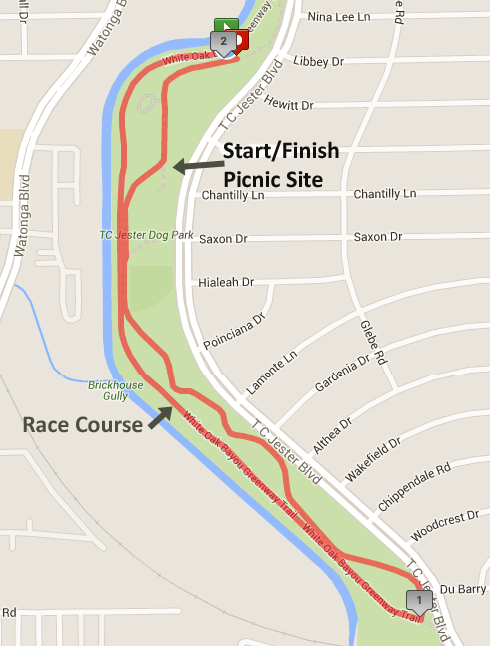 The course is a 2 mile circuit which stays within the confines of TC Jester Park. This is the final race of the HARRA Spring Series. www.bcrr.org	View Course Map	Incorrect Race Info/Update Race Details?